NASHVILLE, Tenn. – (Dec. 18, 2014) - Mercury Nashville / 19 / Interscope Records artist Scotty McCreery will perform on “FOX & Friends Christmas Special,” which will premiere on the FOX News Network on Christmas Eve (Dec. 24) from 8:00 – 10:00 PM/ET. The show will re-air later that evening from 11:00 PM – 1:00 AM/ET. It will also air twice on Christmas Day (Dec. 25): 2:00 AM – 4:00 AM/ET and again in the afternoon at 2:00 PM – 4:00 PM/ET. McCreery and his band delivered a spirited performance of “Holly Jolly Christmas” and “Santa Claus is Back in Town” when they taped the holiday special earlier this month. Both songs are featured on his Gold-certified album, Christmas with Scotty McCreery, which debuted at No. 1 on the Billboard Top Holiday Albums chart when it was released in 2012. McCreery recently scored his second consecutive Top 10 hit, “Feelin’ It,” from his sophomore album See You Tonight, which debuted at No. 1 on the Billboard Top Country Albums chart. That album’s title song, a top 10 hit co-written by the singer, was one of three singles from the “American Idol” champion that were recently certified Platinum by the RIAA in the same week (the other two being “The Trouble with Girls” and “I Love You This Big” from his Platinum-certified first album Clear as Day, which debuted at No. 1 on the Billboard Top 200 Albums chart). The ACM, CMT Music, ACA, and ICM Award winner was recently ranked No. 2 on Country Weekly’s “2014 Country’s Sexiest Men Poll.” Early in the upcoming New Year, he will travel to Texas to perform at Cowboy’s in San Antonio on Jan. 9 and at Billy Bob’s in Ft. Worth on Jan. 10. 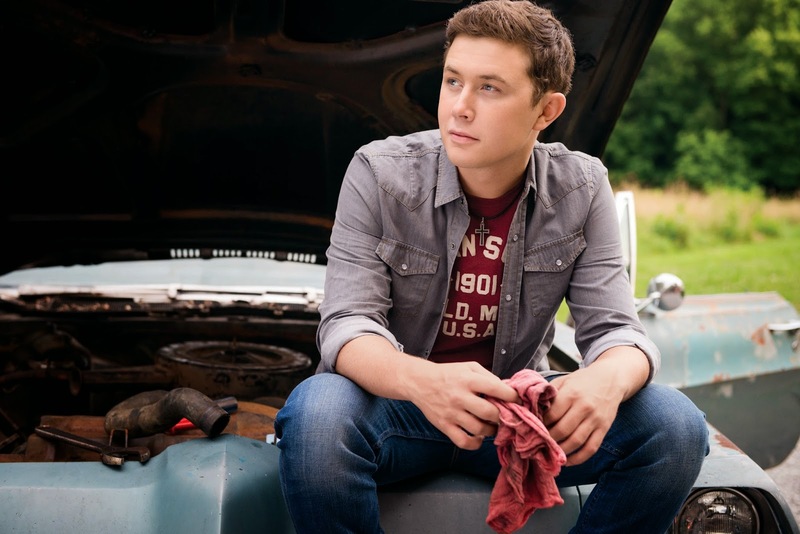 For tour dates and more information, visit ScottyMcCreery.com. Follow him on Facebook at Facebook.com/ScottyMcCreery and on Twitter @ScottyMcCreery.